Lines from Linderhof: O Little Town of Bethlehem . . . It is lovely. Merry Christmas, Martha. We had a similar Nativity set when I was growing up. 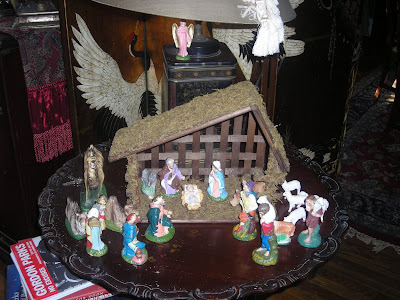 The only thing we did differently, was that baby Jesus was not put in the stable until Christmas morning. Funny, I hadn't remembered that until I saw your Manger.